We have also included the Spin Art Machine so for only $50.00 more get a Water Slide Package Special. All water slide rentals require a water source and a minimum 50' water hose with a level surface to insure that it is safe for all kids. Some Water Slides require two electrical outlets for the blowers.1 for the pool and 1 for the slide. 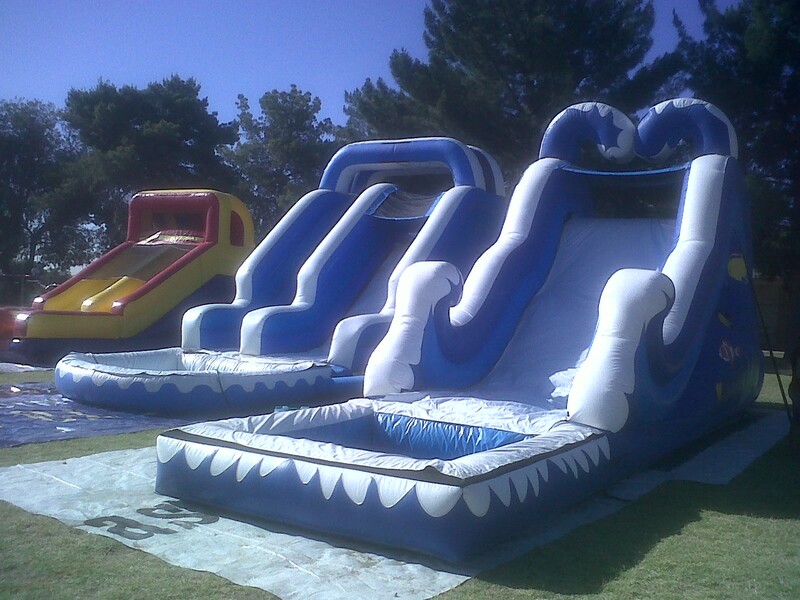 Beside water slide rentals In Phoenix and Scottsdale, we also have the very popular Slip n Slides and Dunk Tank rentals for Company Picnics, Team Building , School Functions.